Basil is an essential herb in every cook's repertoire-the magic ingredient in pesto, sauces and pasta and the perfect partner to tomato and mozzarella. This highly aromatic purple leaf basil, a hybrid with shiny leaves and dense habit, promises a summer of fragrant and tasty pleasure. Each plant is full and round with showy spikes of light purple blooms. Basil, 'Round Midnight is rated 3.4 out of 5 by 5. Rated 4 out of 5 by Martha N from Beautiful, tasty, but not very hardy They were thriving beautifully, until they dried out briefly. One of my two recovered partially, but the other didn't do as well. They grew back tiny sad looking leaves that still tasted great. Rated 5 out of 5 by OrganicDiva from Great yielding plants Purchased this and another purple basil type last year. Both did excellent from plant and seed. Lots of leaves throughout the summer, planted these in a pot. Never will I ever use green basil again. Love the purple variety for flavor and longevity. Dried and jarred quite a bit and intend to purchase again and place in my greenhouse for year long yield. No issues at all with these plants. Rated 2 out of 5 by ElizabethD from Difficult I purchased three plants last year. When they arrived they were spindly, and two of them died within a month. But the survivor performed decently. It's difficult to find purple basil where I live, so it's these plants, which are expensive, or the seeds. I'm going to try the seeds this next year. Rated 5 out of 5 by KCat from Gorgeous--the rockstar of the herb garden. 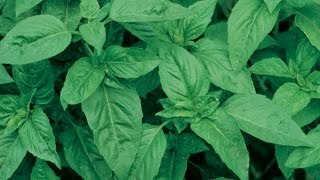 I started Round Midnight Basil up from seed in growing containers, and put them in the ground when they were around 5" tall. They shot up quickly to about a foot tall, a rich, deep, almost-black purple that looked almost unreal; the plants were absolutely stunning grouped amid all the other herbs. I usually knock the tops off all my basil to preserve their flavor, but I couldn't resist letting some of these bloom--their light purple flowers are so lovely. This is well worth growing just as an ornamental! 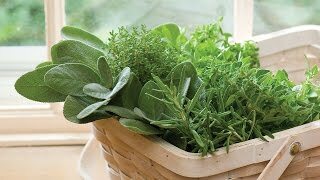 Very aromatic, especially along a path where you can brush it when you walk by, and fresh leaves impart a milder basil flavor than the typical culinary basils; it also makes an attractive contrast when arranged on things like a homemade pizza. Rated 1 out of 5 by BrettK from Complete Failure We purchased a live plant, but what arrived was only barely alive and lasted less than a week in the garden. Calling this disappointing would be an understatement.